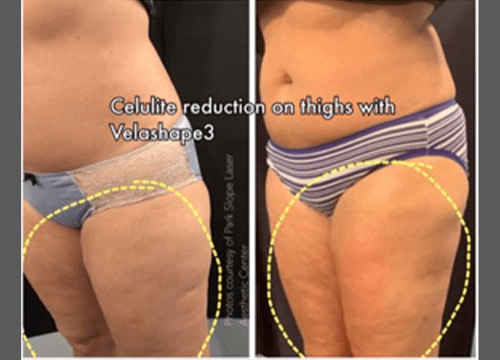 VelaShape 3 is a new non-invasive treatment that uses a combination of technologies to contour your body and reduce the appearance of cellulite. 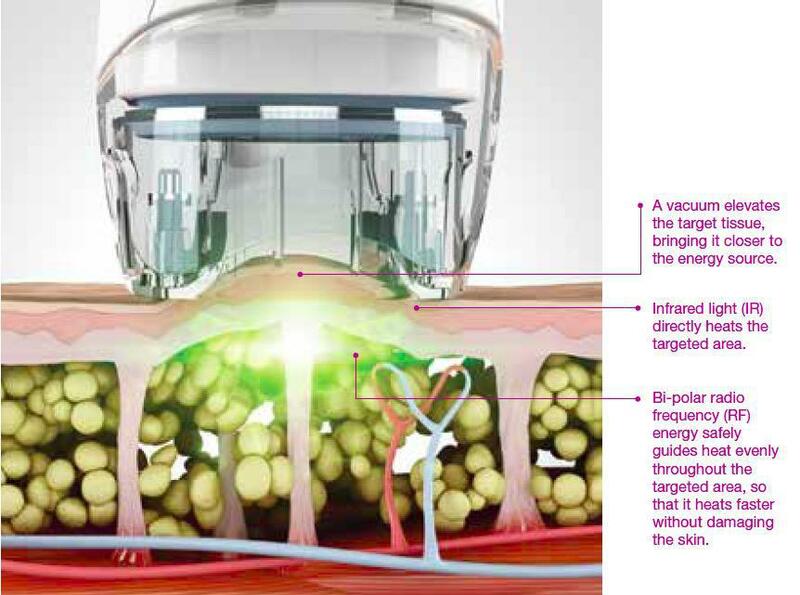 Vacuum technology manipulates your skin while infrared light and bi-polar radio frequency energies gently heat fat cells and surrounding tissue. After 3-6 treatments, patients typically notice a reduction in both circumference and in the appearance of cellulite in the treated areas. The surface of the skin will feel smoother and firmer, too. Some patients see results after their first visit, and in its clinical trials, VelaShape 3 led to a reduction of one full dress size after a series of treatments. Q: How is the VelaShape III improved compared to older versions? The latest VelaShape device uses higher energies very safely. As a result, treatments are shorter and you can see results faster. Some patients now report visible results after their first visit.